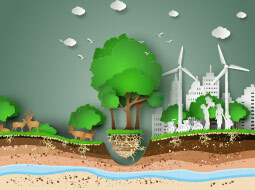 Having completed this course you will be able to: - Identify the need for The GreenPlan in society. - Discuss the origins of The GreenPlan. - Discuss the benefits of The GreenPlan. - Describe The GreenPlan system. - Discuss the seven themes of The GreenPlan. - Discuss the two core principles of The GreenPlan. - Describe the steps to implement The GreenPlan in the community.